Picture this – we are in Bogota after three and half glorious weeks in Colombia but excited about our next stop, Cuba. We’ve planned three nights / two days in Colombia’s capital to get Cuba ready but unknowingly to us it’s a flippin’ bank holiday weekend and all the shops are closed. We don’t have our Cuba Travel Cards and we don’t have any Cuban currency. Naturally, I am freaking out and Craig is trying to be practical. So learn from our mistakes and be Cuban currency ready. What Currency Do Cubans Use? Can I Get Cuban Currency in the UK/US/Etc? What Currency Should I Take to Cuba? You’re Scottish, What’s the Issue? What Was The Solution for Cuban Currency? Should I Exchange Dollars at my Casa? Did you find this useful? Why not over over image and pin to Cuba board? Any currency ‘mares you’d like to share? There are two currencies in Cuba. 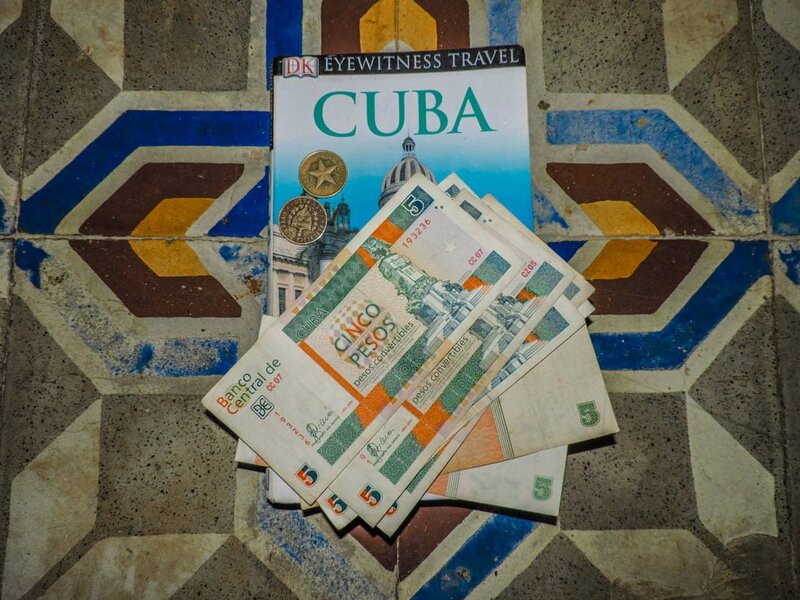 The Cuban Convertible Peso (CUC) – the so called Cuban tourist currency which you will use frequently. The other is the Cuban Peso (CUP), which you might use for street food but in all honesty, we could have lived without it. The only time I was desperate for CUP was when I heard Che Guevara’s face was on the three CUP note! No, I’m afraid you can’t get Cuba currency anywhere apart from in Cuba. 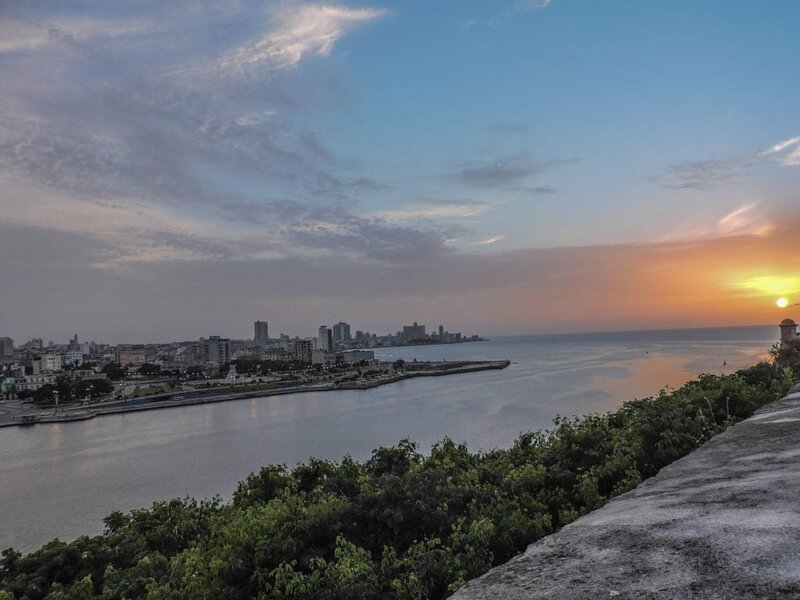 However, we have handy advice below to help you not get ripped off in Cuba. 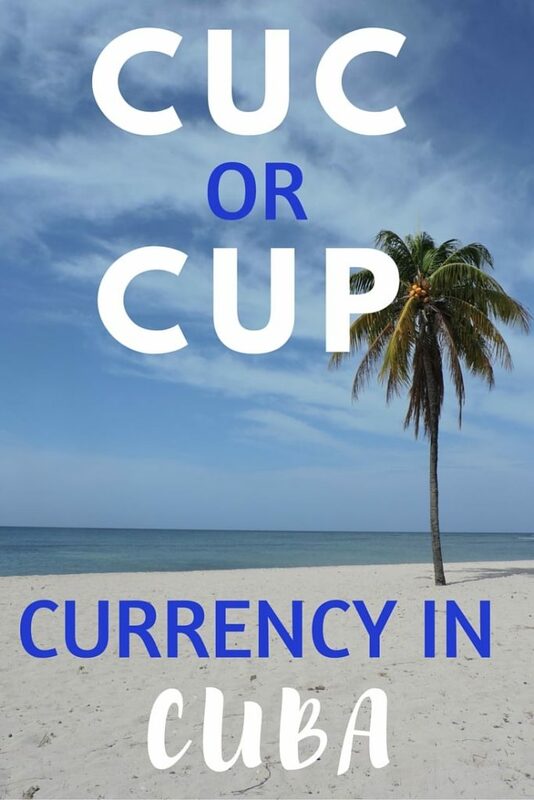 Once you are in Cuba you can exchange the above. You should never take American dollars to buy Cuban currency (at present anyway!) There is a 10% penalty charge when you exchange USA dollars for Cuban currency as well as 3% currency exchange fee. Correct, we are Scottish and we did not win the referendum in September (2014) so we still use the British Pound Sterling, a desired currency in Cuba and the coin with highest exchange rate! So if we were leaving for Cuba from home we would have been laughing. However, this was not the case, we had been on the road for three months and had lived off four different currencies. It wouldn’t have been wise to carry £900 around South America in preparation! We did have £100 on us for emergencies, this being one. Craig spent one morning in Bogota going back and forth between the ATM and the money exchange, exchanging his Colombian pesos (COP, not to be confused with CUP) for euros. Unfortunately, the money exchange didn’t have any sterling, which was our desired currency. Craig had to transfer more money to another account once he had reached his limit on the first card. He visited four different money exchange shops in total. He was told to go back mañana (tomorrow) if he wanted Canadian dollars but we flew the next day so that was not possible. We left Bogota with €400 in total – half of what we hoped for. After arrival, we found out that the Canadian dollar actually had the lowest rate for exchange out of the three. 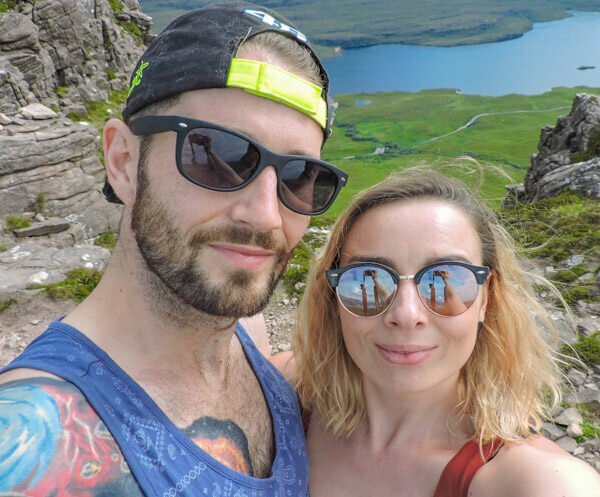 Advice from fellow travellers and bloggers was to take the amount of money you plan to spend to avoid ‘hole the wall’ charges. I was wary of carrying around close to £1K with us but we were reassured that Cuba was the safest country that they had visited. 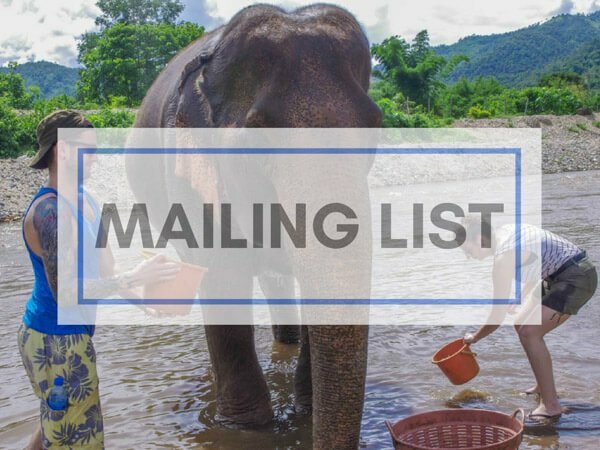 A fellow blogger, Nick from Goats on the Road suggested we budgeted $90 / £58 per day. No way I cockily thought, we’d stick to our normal £45 per day budget. 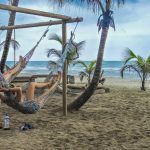 And we all know how this went down (we spent well over budget, read here for our three weeks in Cuba travel budget). 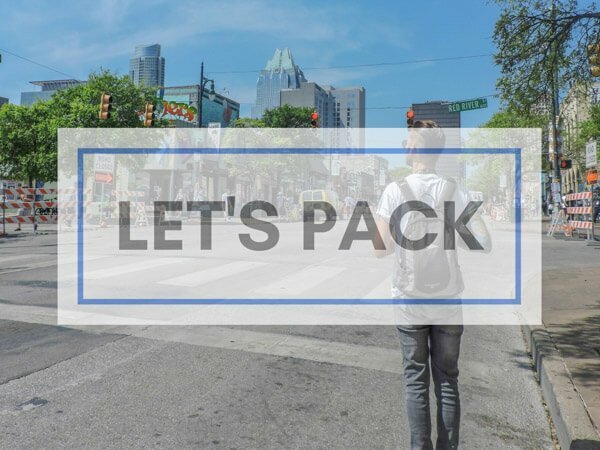 If you are going to buy a guide for any trip, it’s this one. 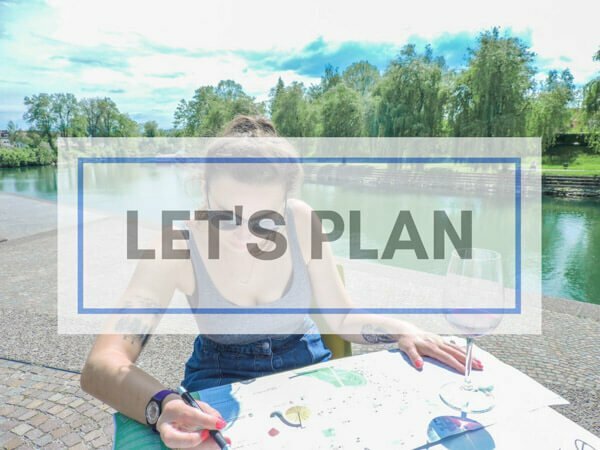 Limited WiFi and internet makes planning a challenge. Invest in one to these travel guides to keep you right on transport, food and things to do. 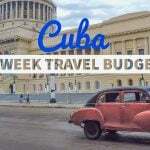 Cuba is expensive in relation to the previous countries we have visited! ATMs charge you $4.50 / £2.93 every time you use it and the max you can withdraw is $150 / £96.70. Pain in the purse! We also heard some banks may switch off the ATM so do it in office hours although we didn’t have this issue. 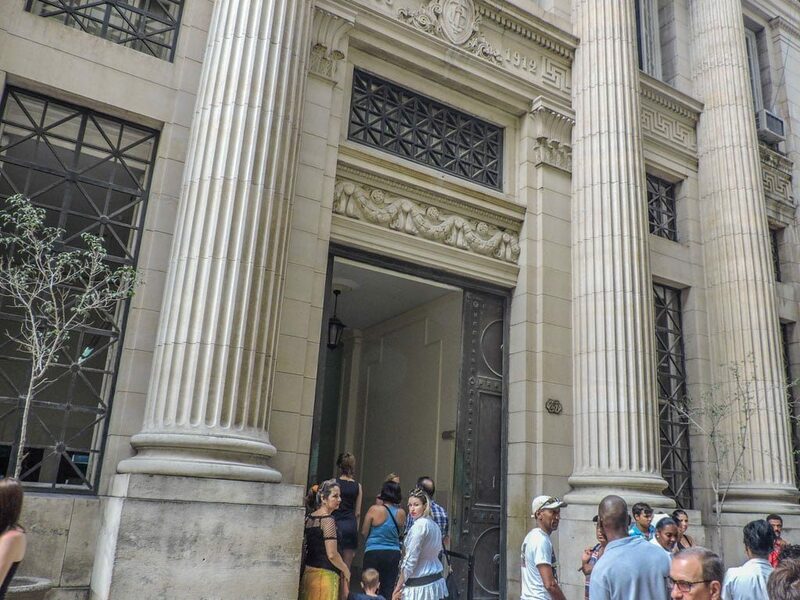 CADECA are the money exchange houses in Cuba – be prepared to queue. Cubans love to stand in line. Come equipped with your passport or you’ll queue for an age and then be disappointed. I read that CADECA shops close at 3pm so get there early. So although changing money in Cuba is not impossible, it might be taxing on time. There are two CADECA at Havana airport, check upstairs for the quieter one (there was no queue when we arrived). Always take your passport when exchanging money. Banks are also another option for exchanging cash. 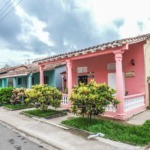 So this is an update as of 2017, a reader asked on our scams in Cuba post whether to exchange American dollar for CUC at their casa found through Airbnb. I asked around and fellow bloggers who have recently been to Cuba said that they were offered this too and declined opting to order euros instead and exchange some at the airport then in Havana itself. I hope this has helped answer your question – what currency do you use in Cuba. To recap, exchange British pound for CUC and swap a local some CUC for CUP (you can’t buy Cuban Pesos), but you could travel without doing this. FUN FACT – we didn’t have to pay an exit tax at the airport when leaving as suggested online, thankfully as we didn’t have the correct money! I was sweating at the thought of doing a whip round at 5am. P.S. The ATM at Havana Airport did not work when we were leaving for Vancouver. See Fun Fact. Stressed out my box! Update: Cuba now has 3G capabilities, you heard it here first! Why not over over image and pin to Cuba board? Very helpful! Currency problems can be a nightmare for sure. I traveled to Cuba (US citizen) from the Dominican Republic in 1999. It was a spur of the moment trip, and with only credit/debit cards based on US banks, ATMs were not an option. We ran out of cash fast. Even after borrowing a few dollars (how humiliating) from a guy I overheard say he was studying at my former university (later met up in NYC to return the $$), we still left the country hungry. Planning ahead better would have made a much less stressful visit. We also ran into trouble on our last visit to Venezuela a few years ago. The currency there is in such an unstable state, it’s impossible to deal with. We were traveling, and didn’t have much cash with us. The rate for getting money from an ATM is the official rate. At that time, we would only get 1/8 of what we could get on the “parallel” market. 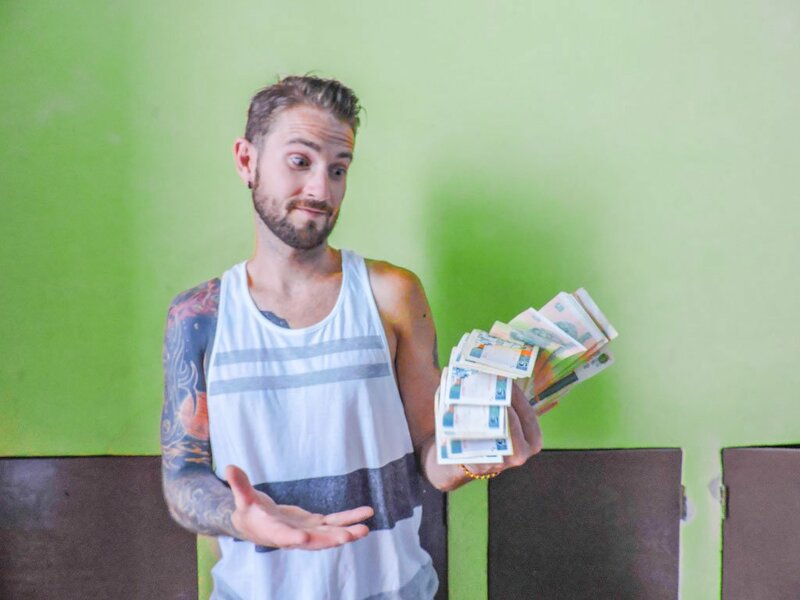 We changed the cash we had in illegal casinos (long story, but good option) and then ended up having to travel to Colombia over the border to take out Colombian pesos and change THOSE unofficially into Venezuelan bolivars. What a mess. Man what added stress. We’ve heard a lot about The Blue Dollar in Argentina whilst in South America but your Venezuela trip sounded way tougher. 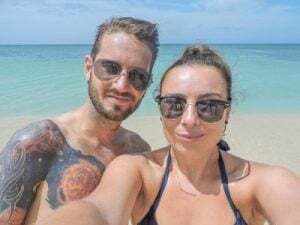 We let a chick from England borrow some money from us too in Cuba and were thankful of two girls we met in Playa Larga who were will helping us out in our time of need. Thanks for sharing your story Tamara. This sounds like suuuch a stressful experience. I’m always so confused about exchanging money. The Canadian dollar is crap right now so I’m terrified about exchanging for the American dollars I’ll need in Ecuador in a couple of weeks, although I know it’ll probably just keep dropping. Also, I probably rely too much on my visa, something I don’t really want to carry around with me all the time in South America. I suppose I’ll have to learn to use cash again! We travel a lot and usually go to an ATM as soon as we arrive in a foreign country. Voila you have local currency! I try to avoid ATM charges if possible but everyone travels differently! Thank you! Learn from our mistakes! Thanks for the info…will be going in a couple of weeks! Awesome – are you all set? Are you travelling or staying put? Leaving January 4th for eight days. Havana, Trinidad, and Cienfuegos . Getting psyched! is it easier to exchange US dollars for CUC now that things have stabilized somewhat? I’m concerned that during my trip to Cuba in a couple of weeks it may be too expensive to exchange currency. I will some Euros but mostly dollars. Any advice would be appreciated. I would not recommend taking US dollars at all. I’d exchange US for Euros or pounds before you. Hi Victoria. We actually travelled around Cuba with a Brit who now lives in Mexico. I’ve just asked her what she did regarding cash and said that she had a British debit card but she * thinks * you can exchange Mexican pesos. I can’t say for sure though I’m afraid. Trip Advisor says you can. You’d have to check XE for exchange rate though. San Diego, California? You’d just exchange USD dollar for pound at money bureau or bank (like you would to go on holiday to the UK). Others have mentioned a limit of 150 – that was not my experience, I only found limits of 40 of whatever the notes were. So if CUC 20, the limit was 800. And that 4.50 sounds like the 3% exchange from CUC to USD. I wonder how that compared to the multiple exchanges GBP to COP to EUR to CUC that you did with the cash. The exit tax has not been collected separately since May 2015 – it is included in the ticket price. Thanks for your experience, we certainly did panic a bit about the exit pass since we were pulling our pennies together! We are US nationals so cannot use our credit cards. We only have US currencies. We arrive at 5 PM on a Sat. We are hoping we can convert money at the airport. Quite honestly, this is the only aspect of the trip that is tripping me up. I know it really is a tough and annoying one. You just have to take the low rate hit, unfortunately. We honestly spent the day converting money in Colombia, trying to get our hands on Euros and British Pound. Would have been a lot easier if we were doing a UK to Cuba trip but that wasn’t the itinerary. Come back to me and let me know how you get on, please. I’m sure you’ll have a fun trip once the money is dealt with. Are you stopping over at another airport? You could change currency there possibly or take money out at the ATM. As Scots you should probably point out that Scottish notes are not accepted anywhere in Cuba. I know this because I had a Spaniard living in Scotland begging me to buy his Scottish notes for Euros, as he had practically no useful money. Scottish notes aren’t even accepted in London! So can you get cup from ATM using a foreign bank card ?